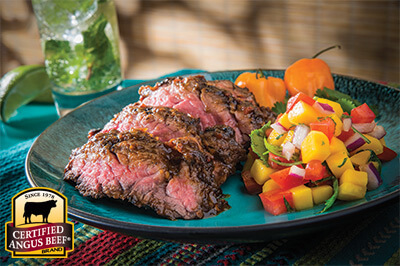 An easy marinade of dark beer, garlic, onion, and pepper gives flank steak a distinctive bold flavor. Make Beer Marinated Grilled Steak with Guinness for extra deliciousness. 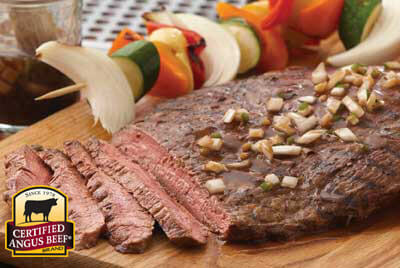 Combine Guinness beer, onion, garlic, and peppers in a zipper-locking plastic bag with flank steak. Marinate 6 to 8 hours in refrigerator. 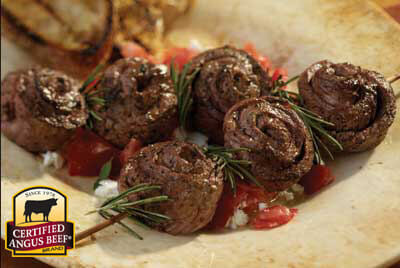 Remove steak; discard marinade and season with salt and pepper. Grill over medium-high heat to desired doneness. Let steak rest 5 minutes; slice thinly across grain and serve.